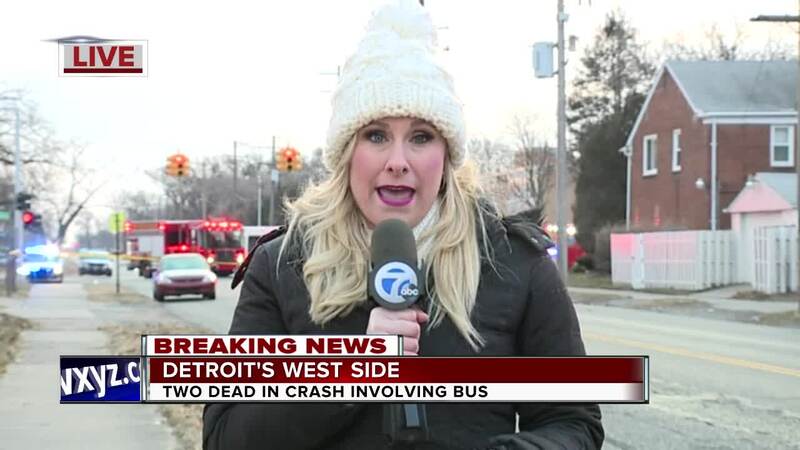 DETROIT (WXYZ) — Two people were killed early Sunday morning when police say a speeding Honda slammed into the back of a DDOT bus Sunday morning . 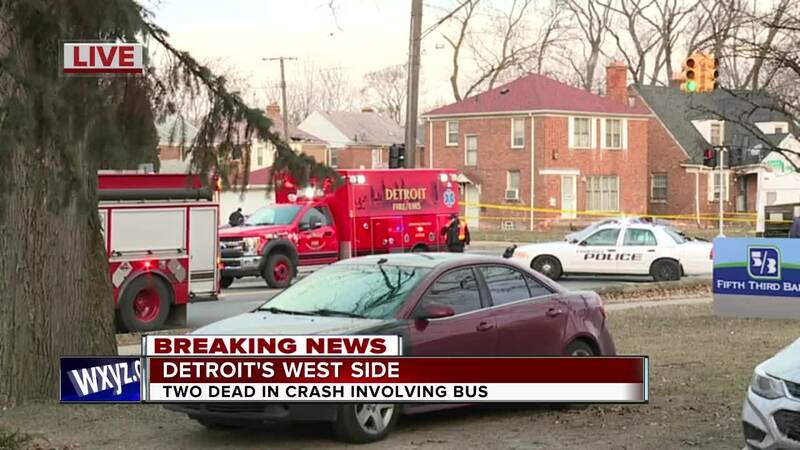 According to Detroit Police, at least three people were inside the car. Two of them died at the scene and a third person was taken to the hospital in critical condition. Police say a DDOT bus was traveling east on Curtis when a silver Acura, traveling south on Meyers, slammed into the back end of the bus. Police say the DDOT bus driver did not report any injuries at the time of the crash, but one bus passenger reported minor injuries. Police say there were three people in the silver Acura. A woman in the back seat was ejected from the car through the front windshield. She along with a male in the front passenger seat were both dead when first responders arrived. Another man, the driver, survived. Fire crews had to use the jaws of life to get to him. He was rushed to the hospital and is in critical condition. Each of the three people inside the Acura were between the ages of 20 and 25 years old. At least three people were on the bus at the time of the crash.